There are a number of good things that you can do for your marriage, including listening to your spouse, prioritizing compromise, and even forming a postnuptial agreement. Texas maintains strict rules for doing the latter, however, so if you’re thinking about forming a postnup, working with a skilled family law attorney who has experience creating pre- and postnuptial agreements is strongly encouraged. At the Law Office of Ben Carrasco, our attorneys are prepared to guide you through the process of creating a martial agreement. 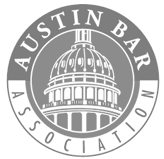 To schedule a consultation with an experienced Austin marital agreement lawyer, please fill out the form below. Most people are more familiar with the term prenuptial agreement than they are with a postnuptial agreement. But the two documents do exactly the same thing: outline expectations for how finances will be handled both during the marriage and in the event of divorce or death of one of the parties. The only significant difference between a prenuptial agreement and a postnuptial agreement is that the former is created prior to marriage, whereas the latter is created post-marriage. What Information Is Contained within a Postnuptial Agreement? Postnuptial agreements are used to outline the financial responsibilities, privileges, and details that are relevant to a marriage and to the parties of a marriage. They are not used to completely bar a spouse from being able to collect alimony in the event of divorce, ensure that only one parent will have custody of children in the event of a divorce, or list any ludicrous requirements of the marriage (such as that one spouse must vacuum the house every Thursday, or else). Any other decisions related to financial matters. What Cannot Be Included in a Postnuptial Agreement in Texas? While most things, especially those related to financial agreements, are totally okay within a postnuptial agreement, there are a few exceptions. 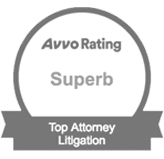 Namely, agreements related to child custody or child support cannot be formed; nor can any agreements or arrangements that are illegal; nor can any arrangements that are unconscionable. For example, a judge may find it unconscionable that the terms of a prenuptial agreement completely barred a spouse, who did not work and had given up their career in order to stay home with young children, from receiving spousal support in the event of a divorce. In addition to information that cannot be included in a postnuptial agreement in order for the agreement to remain valid, how the agreement is formed is also important. If the agreement is not formed in compliance with the following criteria, a judge may declare it invalid at a later date. Both parties must enter the agreement voluntarily – if the agreement is entered under duress, it is not valid. What Are the Benefits of Forming a Texas Postnuptial Agreement? Forming a postnuptial agreement may not sound like the most romantic thing that you can do for your marriage or your spouse, but in truth, working together to form a postnuptial agreement can actually help to foster a culture of communication and cooperation in your marriage – forming a postnuptial agreement is a big deal, and will require that both of you work together. Protecting a party from incurring the debt of their spouse. In addition to these very practical benefits of a postnuptial agreement, consider that when you form a postnuptial agreement, which you will do with your spouse at a time in your marriage when cooperation is possible, you mitigate the contention that often accompanies a divorce. Indeed, if you and your spouse do decide to divorce, the terms of the divorce (with the exception of child custody and child support) will already be spelled out. This will also you to expedite the divorce process, minimize high lawyer and court fees, and move forward with as little stress as possible. Why Do I Need to Work with a Lawyer When Forming a Postnuptial Agreement in Texas? There are a number of do-it-yourself Texas postnuptial agreement forms that you can find online and file on your own, but this is not recommended. When you form your postnuptial agreement on your own without legal counsel, there is too much room for error, and you may not know what to look for or what provisions to include to protect your best interests. In fact, in many cases, it is advised that you and your spouse are both represented by your own attorneys. One of the biggest parts of forming a postnuptial agreement that is valid and enforceable is ensuring that both parties fully disclose their assets and debts. An attorney can thoroughly analyze your finances to ensure this requirement is satisfied. 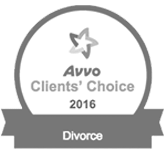 To guide you through the process of creating a postnuptial agreement that is valid and enforceable, please contact our experienced family law firm today.We have years of experience, and are ready to start advising you immediately.